The unbreakable bond between land and sea is one that allures vacationers all over the world, and Sarasota’s stunning ocean views coupled with tasteful beachside meals are no exception. Make the most out of the area's white sand beaches and indulge at one of Sarasota's best oceanfront restaurants. Situated within the beautiful Boathouse Marine Center, Dry Dock Grill is famous for serving incredible grouper sandwiches with a panoramic ocean view. With happy hour from 3:00 p.m. to 6:00 p.m. daily and a lenient dog policy, it's the perfect place to watch the sunset while enjoying a meal or a midday beer. Both lunch and dinner menus boast seasonal land and sea options below $35. Opened in 1986, the Old Salty Dog has three locations, two of which have oceanfront views. Located in Longboat Key's MarineMax, this local favorite is known for peel-and-eat shrimp. Each location has their own specials ranging from $6 sangrias to a $30 Bourbon-glazed salmon that we’re drooling over. Sitting on the tip of City Island, Chart House is the perfect destination for a breathtaking view of both the ocean and the sunset. Chef Stephanie Klos’ is renown for her slow-roasted prime rib and melt-in-your-mouth lava cake. Chart House also offers a seasonally-crafted “gluten sensitive” menu for those with dietary restrictions. This local landmark has been situated in Lido Key for over 89 years and serves up incredible burgers, which are famous in the area. New Pass Grill offers a delicious breakfast menu with nothing over $5, and it's also the pre-boating stop to get meals to go from their full menu beginning at 7:00 a.m. You can also get your bait while you're at it! What’s better than oceanfront dining? Dining next to the ocean in a lounge with a live piano concert. The Deep Six Lounge and Piano Bar in Marina Jack is a laidback, open setting that has the jazzy Rock Lee playing live Tuesdays through Sundays. Their weekday $5 happy hour specials include cocktails and appetizers, but be sure not to miss their Sunday brunch with Captain Jack’s bloody marys! Eating seafood and enjoying the ocean view go hand in hand, especially when enjoying them at Jack Dusty, located in the The Ritz-Carlton Sarasota. Jack Dusty has mouthwatering oysters deals, a raw bar, and delicious ahi tuna. After spending the day at the beach, dine at one of Sarasota's best oceanfront restaurants and enjoy those beautiful views just a little longer while enjoying a delicious meal. 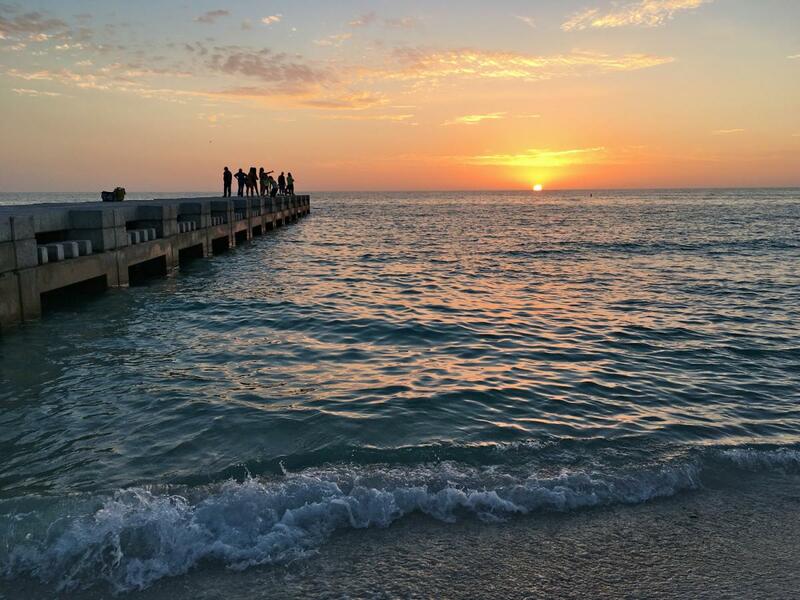 For more oceanfront restaurants in Sarasota like these, register on 941area and connect to everything in the Sarasota and Bradenton area.